President Karzai visited Pakistan’s Prime Minister Muhammad Nawaz Sharif on 26 August 2013. Associated Press of Pakistan reports that The Prime Minister also announced that the two sides, in the meeting of their finance ministers, had agreed on several projects on communications, power and railway. 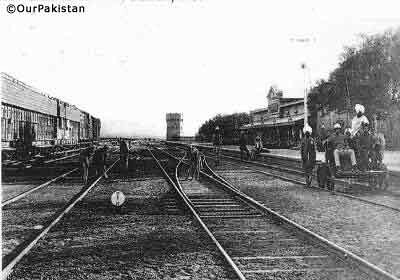 […] The two sides also agreed on establishment of rail links to connect Torkham and Jalalabad as well as Chaman to Spin Bolduk . This is not the first time the two railway projects have been reportedly agreed in some form. Building a Torkham – Jalalabad railway would require reinstating the washed away Khyber Pass railway to join the new line to the rest of the Pakistan Railways network. 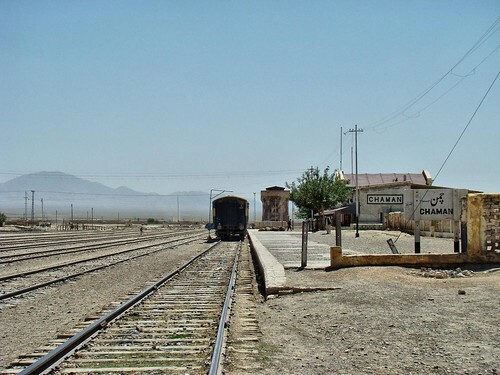 A feasibility study for an extension of the existing railway to Chaman across border to Spin Boldak was reportedly completed in 2010, after a flurry of interest in the project in 2008-09. The concept goes back a long time, with proposals for a line to Kandahar in the nineteenth century.